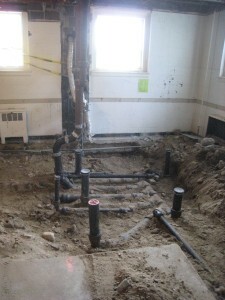 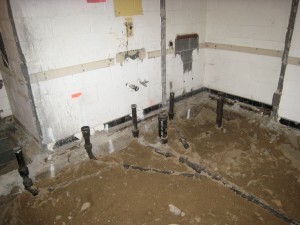 New plumbing in the downstairs men’s bathroom. 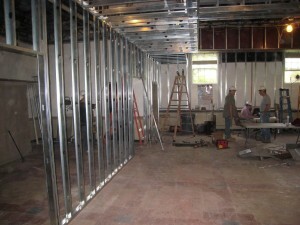 Metal studs of the new storage room wall at the end of the Great Hall. 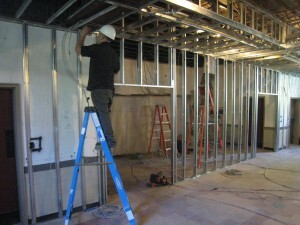 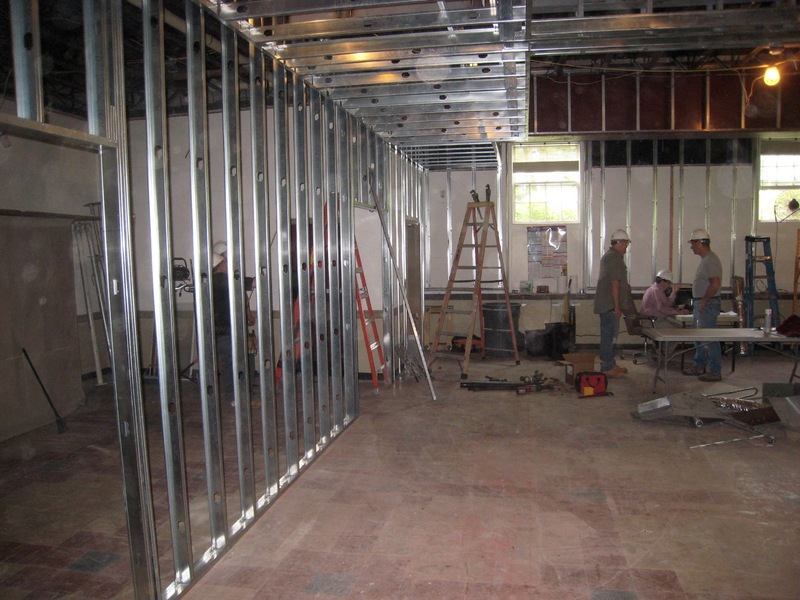 The electric room will be smaller so the storage room can be larger. 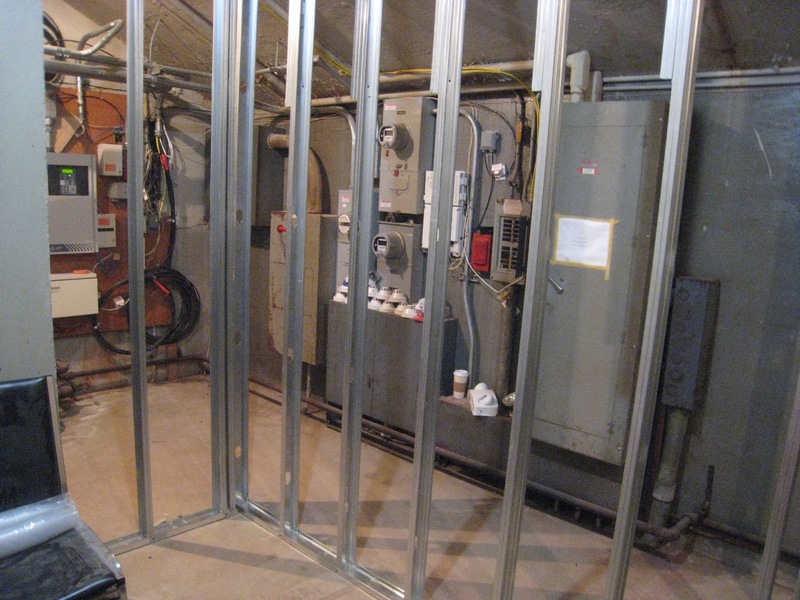 Sheet rock will be next along with two new electrical panels for the ceiling lighting of the Great Hall.